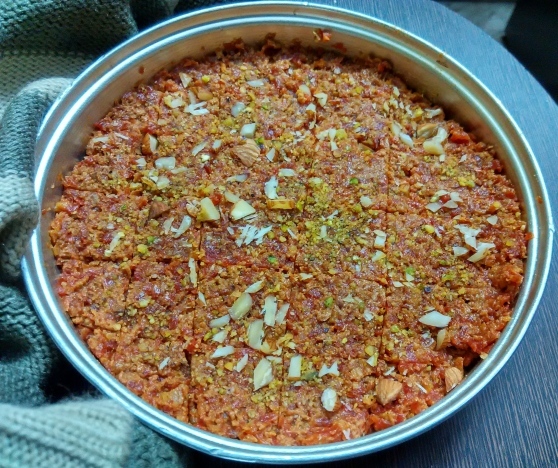 Surprised at the thought of 5-minute Carrot Halwa? Yes, there are 3 gajar halwa recipes here. Whether you are on a diet or watching calories, this instant dairy-free vegan carrot halwa is for you. Gajar halwa is a traditional delicacy that we love to relish during bone-chilling weather conditions. It is comforting, soul pleasing, and oh so yummy. Did I say healthy? Did I also mention how quick it is to process yummiest carrot pudding? 5-6 minutes is all you need to cook deliciousness in a pot! Do not believe my words? that all of us love. And gajar halwa tops the list of winter delicacies. Our list of winter sweets is incomplete without carrot fudge or gajar ki burfi. 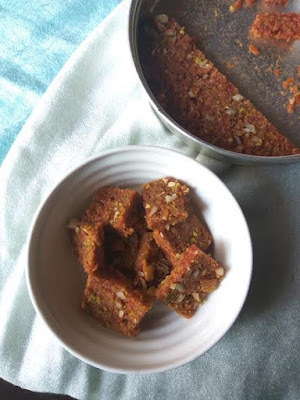 But the traditional carrot fudge uses a good amount of khoya or clarified butter. I am introducing you to a healthy treat, substituting khoya or milk solid with fiber-rich oatmeal. Carrot itself is a good fiber and beta-carotene. The root vegetable is packed with antioxidants, vitamins and minerals. From being a digestive aid to helping you glow and blush, from detoxifying your body to strengthening your teeth, carrot makes a versatile ingredient on your kitchen shelves. blend it with milk and oats to make a power-packed gajar paak or gajar burfi -this is exactly what we are going to do here. Blood pressure management - A rich source of potassium, carrot is your rescue food when your blood is boiling and you are in anger. You may be surprised to know that it can relax blood vessles and release tension.The lower the risk of hypertension, the less the threat of cardiovascular disease. Digestion aid- As a rich source of fiber, carrot benefits your digestive system, adding bulk to your stool. This ensures that smooth passage from the excretion system. it also stimulates peristaltic motion and the secretion of gastric juices. This means there is less risk of constipation if you add carrot to your regular salad intake. Carrot is like a protective aid for your colon and stomach. With fiber-rich food, you can help your heart health, eliminating bad or LDL cholesterol from your vessels and arteries. Immune booster-You may be surprised to know that the humble carrot has antiseptic and antibacterial properties. As a rich source of vitamin C, carrot is an immunity aid, stimulating the activity of white blood cells. Eyesight: Our parents have always advised us to eat one carrot a day to keep our eyes strong and sharp. The reason behind this is it being a rich source of vitamin A.
Grate carrots. I used my chopper for this. 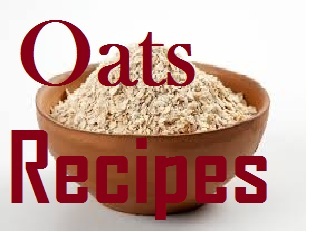 Mix all ingredients except oatmeal in a small pressure cooker. Cook on low-medium for 20-25 minutes with lid closed. Though try to check it after 15 mts to see if everything is okay. Then proeed. Open and check if the milk has evaporated. Then add dry roasted oatmeal or powdered oats to the mix. if you want you may add 1/2 tsp of ghee now as well. Let oats blend well with carrot. Keep stirring until everything comes together in the center. Pour the mixture on a greased plate and allow it to cool. Cut into pieces of your choice once it has completely cooled down. 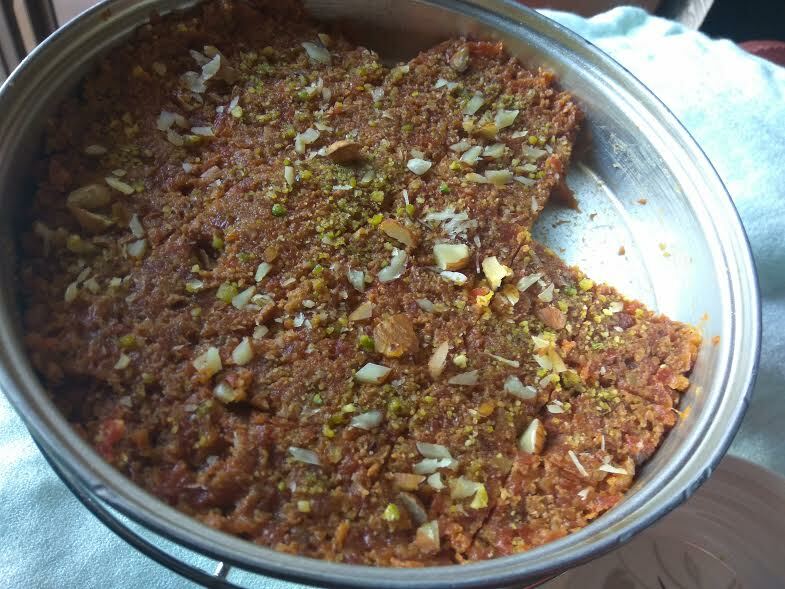 Enjoy gajar burfi in a new avatar. 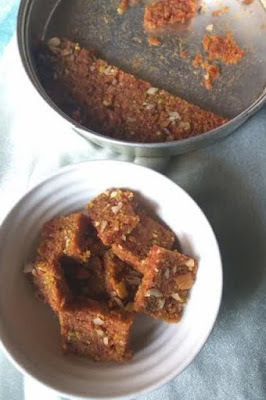 The gajar fudge with oatmeal is a healthy, delicious, and fiber-rich take on the traditional carrot burfi with milk powder and desi ghee loaded with calories. 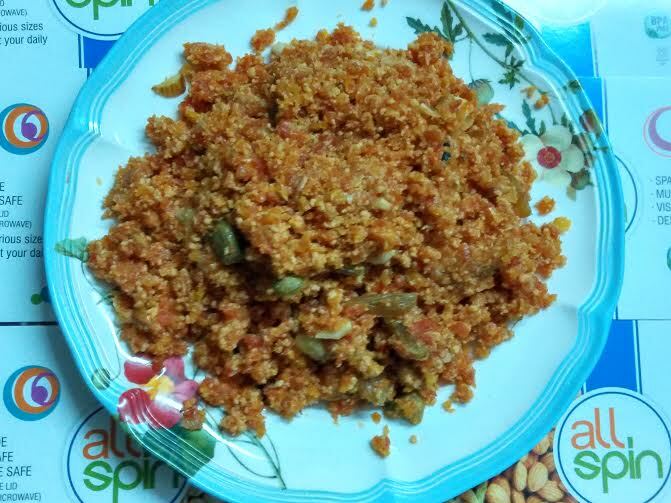 This one has lesser number compared to the authentic gajar burfi recipe.Winter is the season of color - colorful vegetables. Carrot is one such crimson beauty that all of us love. And gajar halwa tops the list of winter delicacies. Our list of winter sweets is incomplete without carrot fudge or gajar paak or burfi. Cook on medium high for 20-25 minutes with lid closed. 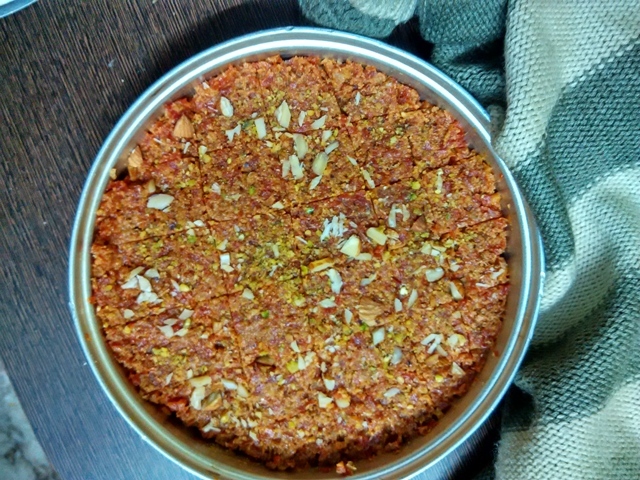 Enjoy gajar burfi in a new avatar. The gajar fudge with oatmeal is a healthy, delicious, and fiber-rich take on the traditional carrot burfi loaded with calories. This one has lesser number compared to the authentic gajar halwa. Gajar halwa is a favorite at my place. 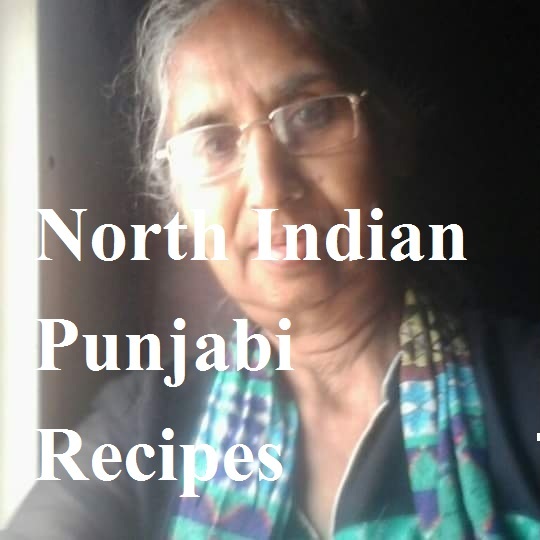 Punjabis are known to make this sweet carrot pudding profusely during winters. 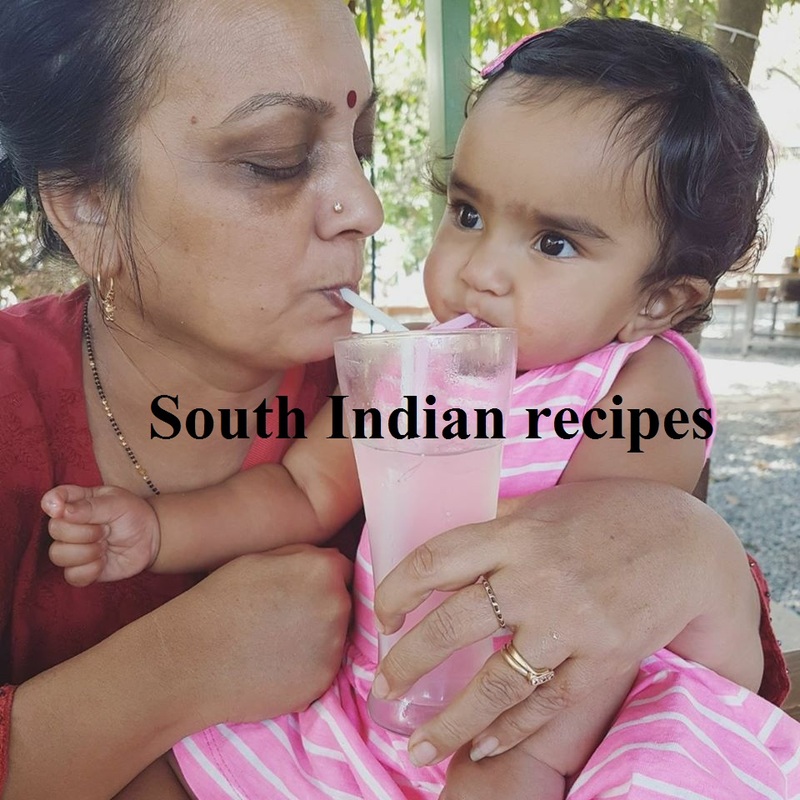 Now the sweet has become widely popular all through India. I love gajar halwa to the core, but since it includes good amount of sugar, I try to make small batches just to satiate my cravings for this winter delicacy. I tell you I can have this lip-smacking dessert at any time of the day. It is that good. The gajar halwa that mom makes is above par. But I do try to avoid too much sugar and ghee, so keep experimenting with age-old recipes for a healthy twist. I fail sometimes, but I do pass many a time. 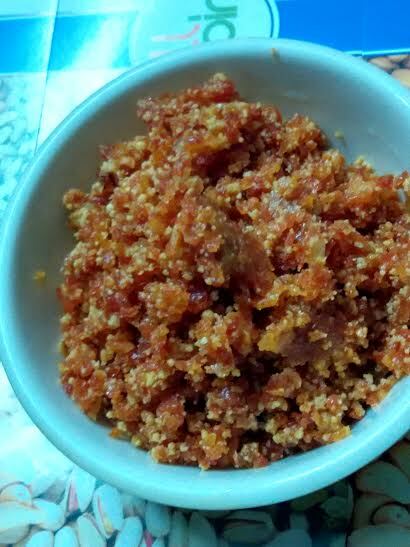 This time I decided to give it carrot pudding a sweet twist - substituted sugar with jaggery powder (gur). Voila! Glad the gajar halwa still tastes awesome. Why did I pick jaggery over sugar? Jaggery is a better alternative to sugar, since it is slowly digested by the body compared to sugar, which is quickly absorbed and raises blood sugar levels instantly, causing blood sugar spike in the body. I have tried replacing sugar in a few other dessert recipes and I am pretty happy with the results. 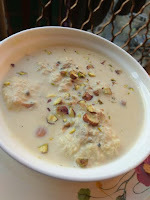 Here's my rasmalai experiment with jaggery. Take half of the grated carrots and mix with almond meal or powder. You may add cashew powder instead. Keep aside. Take a 2 liter pressure cooker. Add water at the base. Spread a layer of grated carrots without the almond meal. Top it with the other lot of carrots with almond meal. Add grated nuts on top along with jaggery powder. 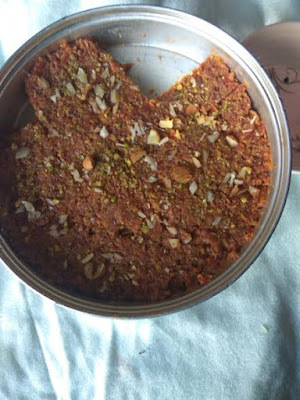 Make sure the almond meal or jaggery does not touch the cooker base. Release pressure, open, and mix everything well and add roasted nuts and raisins. Enjoy lip-smacking vegan carrot halwa with this instant recipe for beginners. 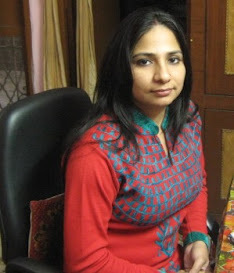 OPOS is the trademark of Rama Krishnan, who is the OPOS mentor. OPOS stands for one pot one shot. If you dream of quick, healthy and flavorful cooking, then OPOS is the best way out! Warm & comforting, gajar halwa is a delightful delicacy that we love to savor during winters. Warm or cold, the carrot pudding tastes delicious in every form. Keep on low flame. Took more than an hour for the milk to dry up. Next, add khoya and ghee. Mix well. Let it cook on slow flame. Now add gur and mix very well. 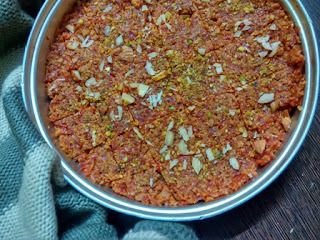 Cook for 5-10 minutes or until the gajjar halwa looks dry. Add/ garnish with nuts of your choice. I added almonds and raisins (kishmish). Enjoy this light and healthy recipe of carrot pudding on a cold winter morning or evening. Give this gajar halwa a try and it would be a frequent recipe in your kitchens during the winter season.